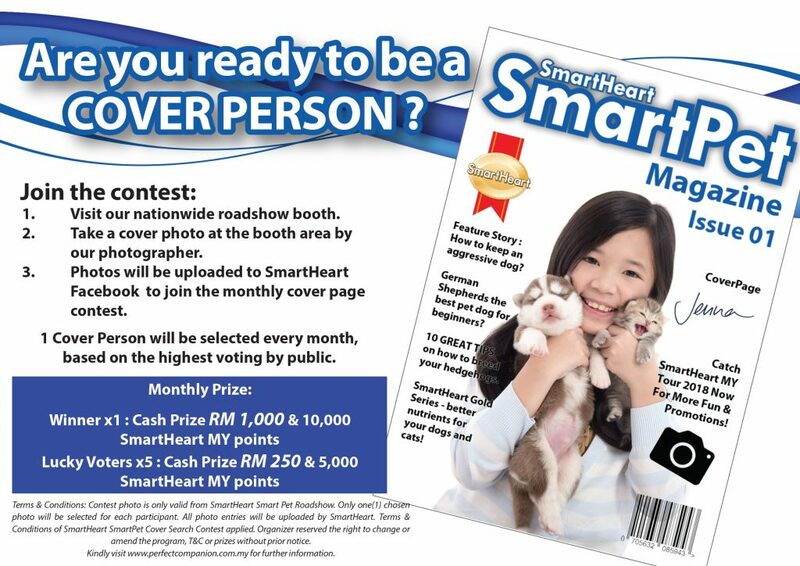 Are you ready to be a Cover Person of SmartHeart SmartPet Magazine? Visit our roadshow booth to take a photo & join the monthly contest! 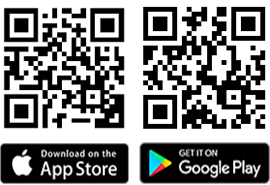 Monthly winners will be selected based on number of votes. 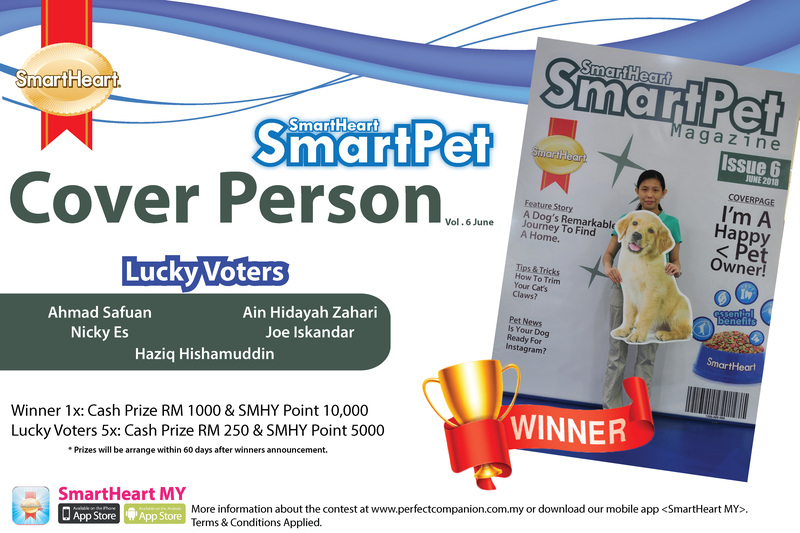 Lucky voters will be choosen randomly based from the voting list. The more you vote, the higher chances to win! 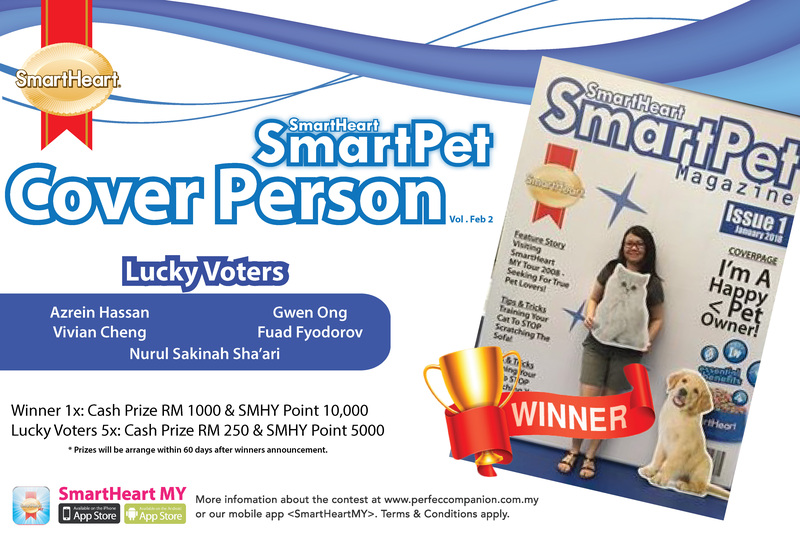 12 Months, 12 Winners & 60 lucky voters stand a chance to win great prizes from SmarHeart Malaysia! 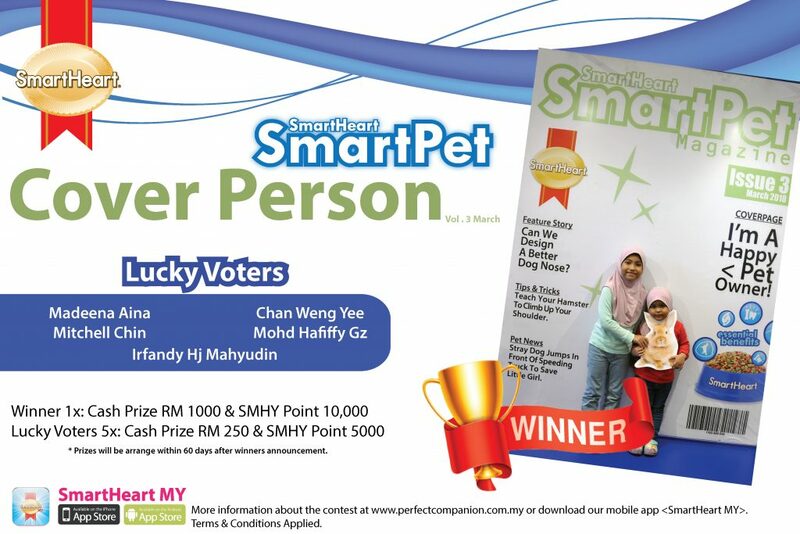 Contest photo is only valid from SmartHeart SmartPet Roadshow. Only one(1) chosen photo will be selected for each participant. 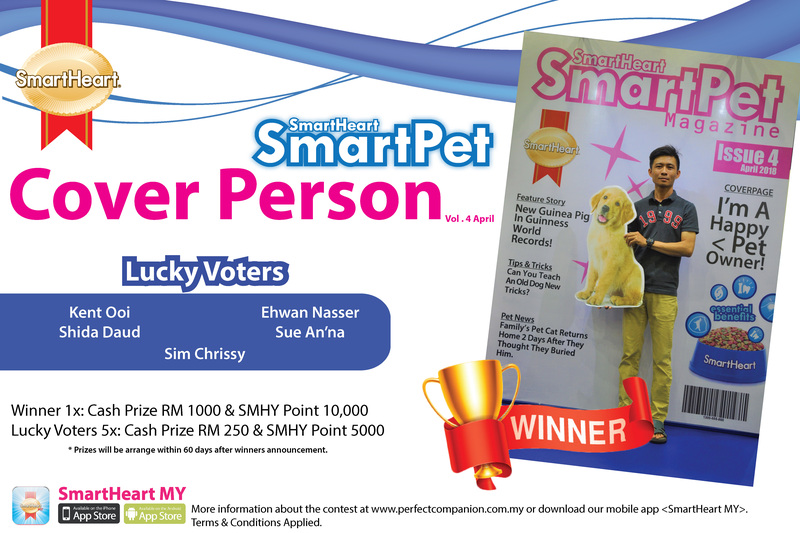 All photo entries will be uploaded by SmartHeart Team. Organizer reserved the right to change or amend the program, T&C or sample without prior notice. 7. 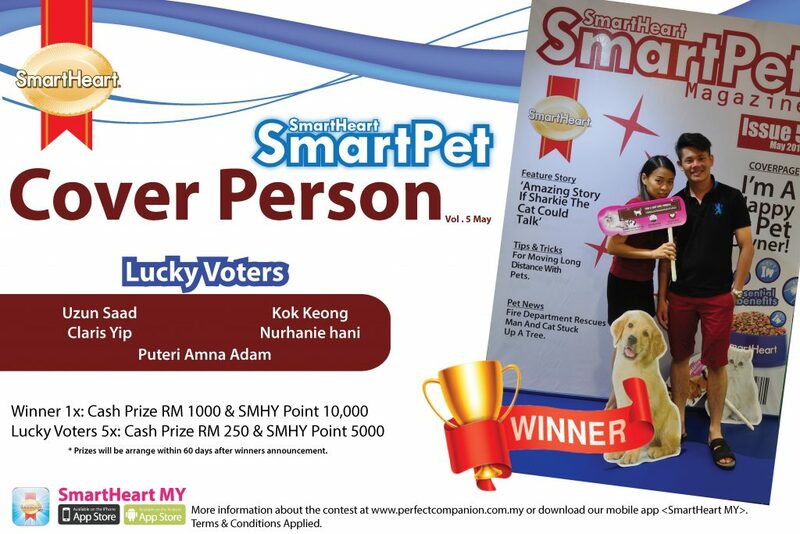 Number of votes will be combine from both SmartHeart Cat and SmartHeart Dog FB page. 8. Winner will be announced anytime after the contest end. 9. 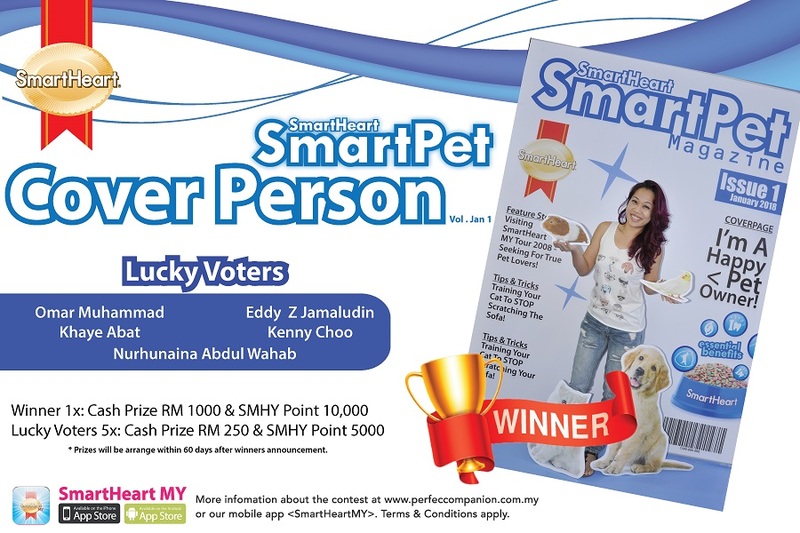 Terms & Conditions of SmartHeart SmartPet Cover Search Contest applied.